One thing's for certain. He has/had name recognition. You may have not known what he was doing at the moment, whether the Yeshiva was active or not, but you knew the name. It's tough not to with a name like that. 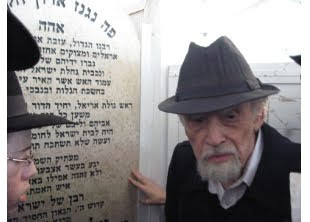 Reb Dun showed us that if you try hard you can make it in the Olam HaTorah even if you're a Galitzyaner... " In the daily paper we were told that he was the "primary talmid of Reb Shlomo Heiman." I assume they mean living talmid. I'm sure some other talmidim in the past would take umbrage to that statement. The other things we learn are quite impressive; how he came here as a teenager and become a Ben Torah despite not having his parents here. We were also informed that "virtually the entire Monsey community attended the levaya." I wish they wouldn't do that. There was no need for that line. The obituary could've been just as good with out that line, with is totally baseless anyway. I'd be surprised if there were 1,000 people there. But that's "neither her nor there." How do we classify Reb Dun? where do we put him in the roster of American Gedolim or Litvishe Gedolim in general? You might say that the terrible machlokes that BM"E found itself entangled in, both back in the day and again a few years back, when it was an internal Ungarisher Machlokes, hurt his reputation and the reputation of his Yeshiva for all eternity. The big ancient building on Main Street sits virtually empty. I think the minyan on Shabbos is alot bigger than the Yeshiva is.. I would say that it's not one of Hershy Friedman's better investments as far as donating to Mosdos goes.Even the "Beis Medrish Elyon hat," the bent-up hat with pinches, is almost no more. Besides for Reb Don and some old timers, nobody wears it anymore. It seems like Airmont (i.e. Lipa Schmeltzer) has made a hard left turn. We're used to his concerts pushing the envelope every time just a little bit more, but this surprised even a pretty Liberal guy like myself. If I didn't know better I'd say that this was a Purim Shpiel in the CCCP, circa 1926. I've defended Reb Lipa here several times, so you can trust that I have no agenda when it comes to Mr. Schmeltzer. I suppose he's trying to be the new Shlomo Carlebach, but even Shlomo didn't make a mockery of davenen. The things you saw were the natural sentiments of some of the people attending services, not some kind of joke. Yes,I don't think the pictures were taken during the actual davening,but it is supposed to DEPICT it. Shlomo would not allow any talking during tefillos in his shul, and he most definitely wouldn't have it turn into some kind of performance. I'm not sure what Mr. Berrry Weber is trying to show with that wrapped Esrog he's holding, but it's crass. Lipa: we appreciate what you do when it comes to helping Jews in need, both spiritual and physical, but you don't need to do this. Stick to what you do best, which is to make Jews happy. Stay out of the Rebbe business. who will be the Rebbetzin Kanievski of our children? Reb Chaim's Rebbetzin passed away on Shabbos Chol Hamoed Sukkos in her home in Bnei Beraq. 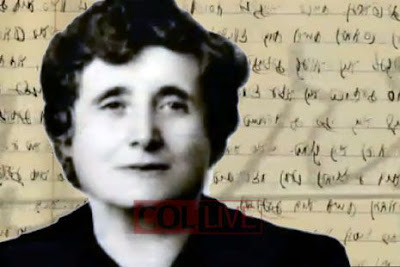 She was the daughter of Rav Elyashiv, a meyucheses in her own right. 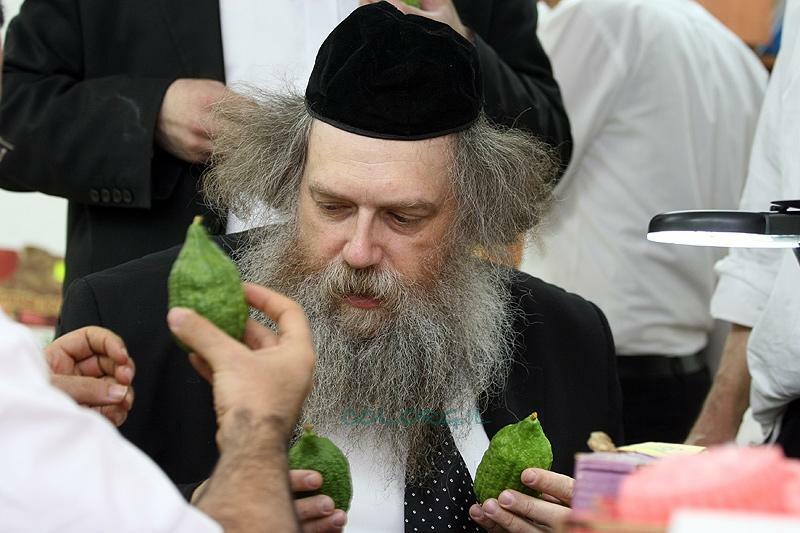 An eynikel of Reb Aryeh Levin. The Leshem! ניט שייכות צו זאגען! what more can you say. [מאמר המוסגר: what's with the "nifteres" shtick? all the "yeshivishe" sites write she was "nifteres" on Shabbos. No more "niftar." Is that even grammatically correct? She is a Nifteres, but she was Nifteres? Am I wrong on this one?] 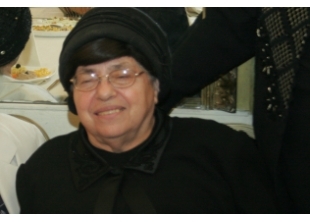 During the subsequent hespedim by the levaya and after YomTov she was dubbed the "mother of Klal Yisroel." I'm not here to bash that. וואס גייט מיר אהן what people say? זאל איר זייער וואויל באקומען. I'm just worried about the future. Who will be the Rebbetzin Kanievski of our children, screams this Circus Tent headline, and I could not have said it better myself. Who will bless Esrog Jelly from now on. Who will say Perek Shira at dawn with the Netz minyan at Lederman? Who will be mafrish challah for the rest of Klal Yisroel that cannot do it? If this what we make of frumme Yiddenes אך און וויי to us. What do we leave for the men? Maybe I'm jealous. Maybe it's because my Bubbe, who was a kaylichdig'e yesomeh at a young age in Hungary, didn't have a zeide like Reb Aryeh, could've very easily been not frum even before the war, was deported to Auschwitz, lost her siblings, nieces and nephews, made bombs for the Nazis in Leipzig - you get my drift. Bah-Bee also davened three times a day with a minyan, (she lived next to a shul) fasted on the Yohrtzeit of her husband, parents, siblings, said tehillim (Perek Shira wasn't a "thing" yet) every spare moment, took care of an Alzheimer's patient many years her junior, and best of all PASSED AWAY ON HER BIRTHDAY!!! She wore a white tichel and shirtzel on R"H and Y"K and cried to Hashem for a Gut Yohr. She cried to him because she loved him and wished only that she have to strength to serve him, not to לעבן א גוטען טאג, chas vesholom. Never have you seen a woman cook and bake with more lofty kavonos. Every poke of the fork into the Kokosh Cake dough was with the loftiest of intentions, no less than a Brisker rolling his rrrrreish during KrishMeh. And I say that in all seriousness. I'll show you her Hungarian צאינה וראינה one day. Halevai my Tanya should one day look like that, or your shas. Or any of our siddurim. So if my Bubbe would be alive I'd say that she could very easily take the place of the lofty Rebbetzin BatSheva. Despite the fact that her husband was not the Sar Hatorah, nor was her father the Posek HaDor/Urim VeTumim. (He was a musmach of the Pressburger Yeshivah, though) Maybe BECAUSE of that she'd be a very good candidate. She was self-made, after all. (Yea, Yea, צדיק בן צדיק, I know what you'll say.) They say that Reb Chaim appointed his daughter Rabbanit Kuledtzki to replace his wife as mother of Klal Yisroel. I haven't seen her at all, but I saw her husband, and he's no Reb Chaim. Rebbetzin Batsheva had a old time Yerushalayimer charm that you can't just pass on to your children, necessarily. In the pictures Reb Chaim looks very, very distraught. Utterly devastated. May the Eybershter comfort him and his family בתוך שאר אבלי ציון וירושלים. A full day's davening indeed. די חשוב'ע רביצין האט די בעסטע 17 פון איר לעבן געלעבט דא אין ניו יארק, זעהענדיג ווי איר גרויסער זונ'ס כוחות און פעהיגקייטן ווערן אויסגענוצט צום פולן מאס. דער רבי פלעגט איר יעדן טאג באזוכן אין שטוב, און זי האט געווארט בכליון עינים פאר די וויזיט. Choosing an אתרוג in כפר חב"ד, today. I'm surprised he's not looking in בני ברק, or in ירושלים by a סוחר who sells אתרוגי ברוורמן, ליפקוביץ, חזון איש, or at least a תימנ'ער.